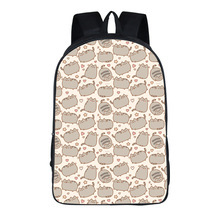 This backpack has everything – absolutely cute Pusheen Cat design, high quality and capacity enough to put inside all your necessary and favorite belongings! Love this backpack! Thanks a lot! !